After H&M, COS, Weekday, Monki and & Other Stories the H&M group has launched a new brand and it is screaming my name. Described as a modern-day market, ARKET sells products for women, men, children and the home in minimalist-looking stores. The stores each have a Pinterest-worthy looking cafe to take a break from shopping and enjoy a good espresso. ARKET can’t be compared to our standard H&M. I feel like the designs are much more intricate and of higher quality. The prices for clothing range somewhere between & Other Stories and COS and the quality matches those two brands too. The designs are more timeless than what & Other Stories would sell and more classic that the typical straight and boxy shapes you’d find at COS. It’s the perfect in-between. It’s perfect for me! I would typically look to J.Crew for up-to-date basics, but I think we finally have a European counterpart. ARKET has all the well-made, good-fitting classics I have been looking for and more. 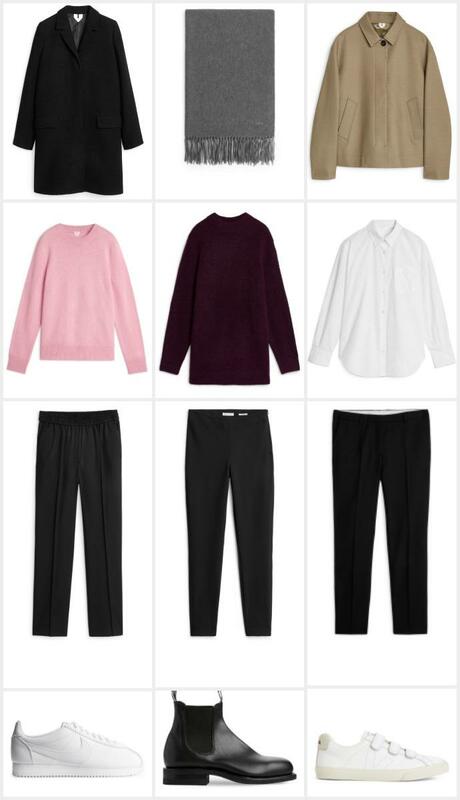 Blazers, roll-necks, sweaters, tailored trousers, … . I think I better hide my wallet. I collected my favorites from the web shop in the collage above! Of all the items the the pink sweater makes my heart beat the fastest. I’ve been looking for a cozy pink sweater for this fall season and I think I just found the perfect one! My hands are itching to grab my card reader, haha. I can’t wait to visit their physical store in Brussels soon! ARKET Brussels officially opens tomorrow, Friday 15/09/2017 at Avenue Toison d’Or 15. Next Post Can a Redhead Wear Red?